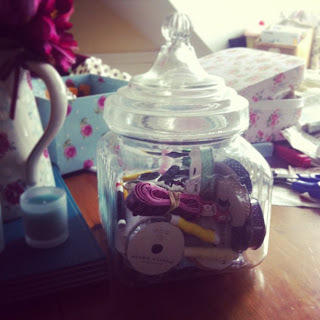 I got this glass sweetie jar in my local Garden Centre in the sale and thought it would make a perfect storage jar for all my sewing goodies ! I love it and it's nice and easy to see what's in there ! 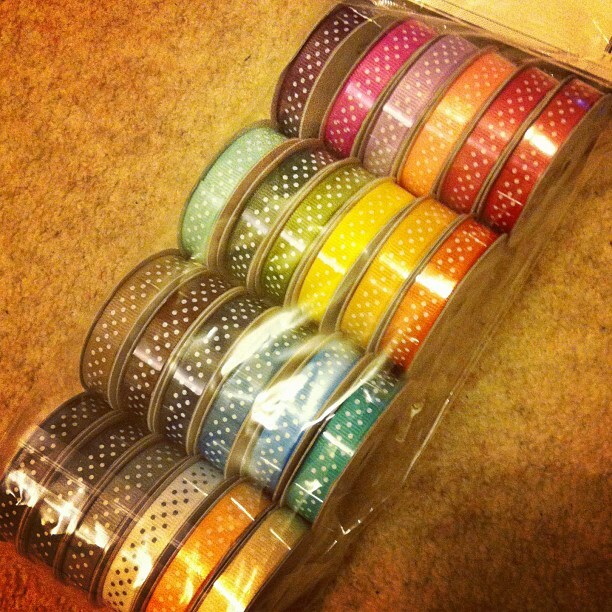 These ribbons I got from TK Maxx are in there and are just so gorgeous! 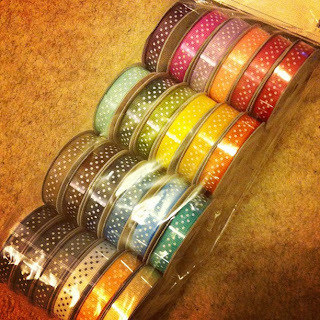 I've used them for a few projects already including my Easter tags.